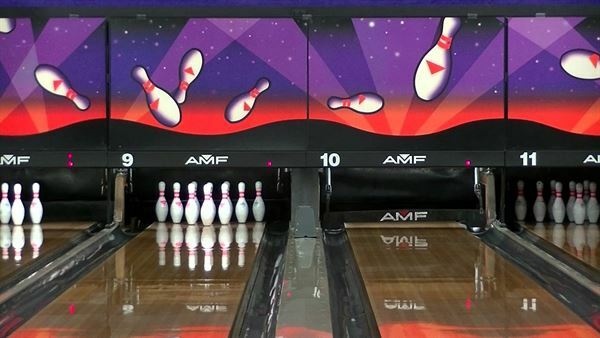 Welcome to AMF - the coolest place to bowl, dine, party, and play! Hit the lanes and let the good times roll in a setting that’s perfect for date night, family night, birthday parties, and corporate events that rock the cubicle. AMF offers best-in-class bowling and awesome anytime fun—featuring all-star lanes situated across three playing areas, plush laneside seating, dynamic video walls, new scoring systems, and an all-new interactive arcade. Every big game gets better when you’re watching it at AMF’s full-length sports bar, complete with flat-screen TVs, an impressive selection of beer and cocktails, and an inventive lineup of signature dishes. Perfect for casual outings, after-work gatherings, birthday parties, and corporate events, AMF offers convenient laneside service and class-leading entertainment that is always ready to roll. With over 50 years of food service experience, two large dining areas, and two bars, we're the perfect place for your Corporate parties, Holiday parties, Graduation dinners, Birthday parties, Brunch parties, Bachelor or Bachelorette parties, Wedding receptions, After-wedding parties, or any other reasonable excuse to get friends together. We also welcome Tour groups.